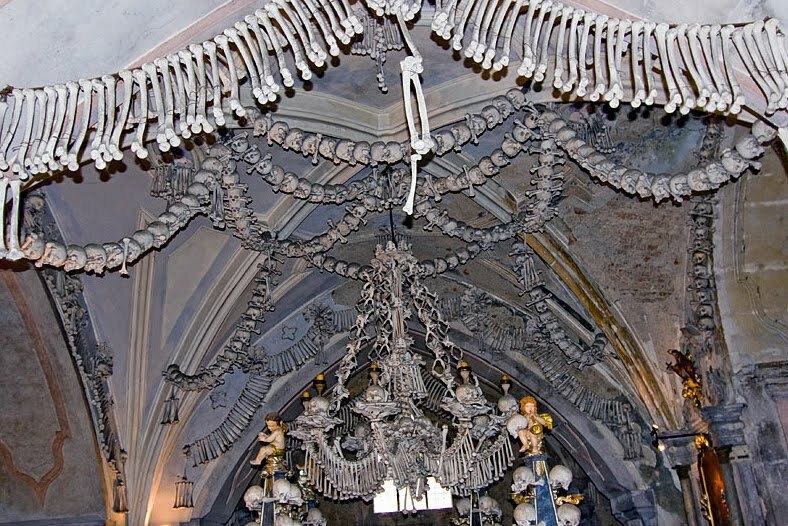 It's at Sedlec Ossuary in the Czech Republic. I haven't been.... yet. If you Google Images it your whole screen becomes like the most maximalist skeletal moodboard imaginable.